Staying ahead of the competition often means knowing what products or services are more in demand when figuring out what to offer potential customers. In addition to keeping track of trends on what to sell, however, successful business owners also have to stay up to date on how to sell. 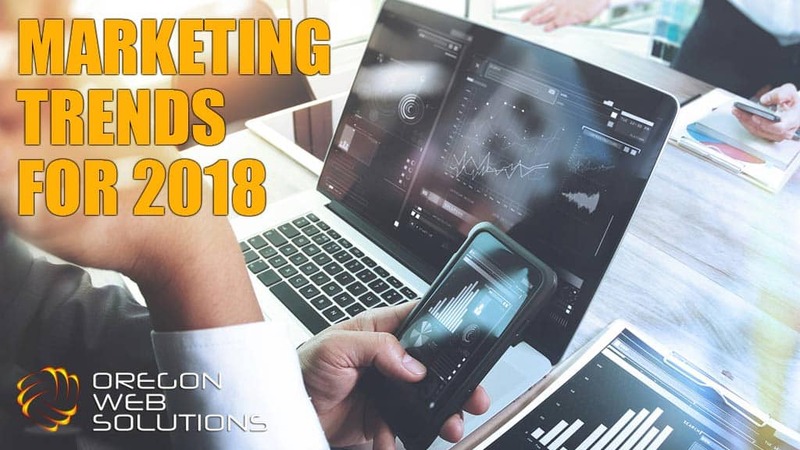 The following are a few of the online marketing trends that are currently underway and should only expand throughout this year and into 2018. This same type of niche marketing is happening more in content marketing now as well because the internet is flooded with content under every imaginable product category today. Content that targets a specific, narrow group of potential consumers will have much less competition than more general offerings of similar information. When it comes to grabbing the attention of someone quickly scanning an ad or website, a powerful or evocative image is generally more effective than text. Whether one is talking about Facebook ads or Google Adwords ads, it has been known for a while now that ads with an image perform better. Infographics can be particularly effective because they combine the attention-grabbing power of a visual with content throughout it that helps to relay your message. They also look far more impressive than simple text and random pictures on a webpage and convey the impression to website visitors that you are a serious professional in your field. As compelling as standalone images and infographics can be, when it comes to grabbing a viewers attention, nothing beats video. This medium more fully engages a website visitor's senses by adding sound and motion to the drab text and imagery that adorn all websites. Putting a video on a website to increase visitor engagement is the best way to make your website stick out from the competition, and this trend is only going to continue through this year. The internet is swarming with an impressive array of video production companies that are booming thanks to businesses realizing that they need to stick out from their competition. Whether it is a corporate video, training video, educational video or a sales presentation, the message will be relayed with far more certainty through this medium. The use of short explainer videos seems to be growing across the internet. These couple minute long animated presentations get a company's message across to their target audience in a way that gets people to take action. Video streaming is another one of those online marketing trends 2017 will see an increase in. Live streams on sites such as YouTube are an effective method for growing YouTube channels to offer current information in a more interactive manner. Some people may find it annoying, but native advertising will undoubtedly be one of these online marketing trends that continues through 2018. These are those ads that disguise themselves to look like other content on the website they are on. One example of this is when you go to a site like cnet.com to download some free PC software, and on the download page, you see a square graphic that says “download.” When you click on it, however, you find it takes you to some advertiser's page. It is easy to see how this method may aggravate some people as they frequently think they are getting something else when they engage with the advertiser. This may make it especially important for those who use this method to have landing pages that grab the visitor's attention even more quickly than usual. The next step in online marketing seems to be to give web browsers the feeling that they are more a part of the shopping experience. This is being accomplished through the use of augmented reality(AR), virtual reality(VR) and 360 degree videos. The one thing that's missing when we shop online, as opposed to going out to the store, is the knowledge that we are really just sitting at home staring at a screen. We are not really experiencing shopping as we do when we go out to the mall. To set themselves apart from the crowd, increasing numbers of companies will utilize technologies that immerse the consumer in the company's business through their internet device. You may have already seen these types of technologies on some real estate websites where they give you the feeling that you are actually in the home that you are looking at. The above marketing trends for 2018 reflect the fact that there is a lot more competition online today. The trend in general is moving more toward more focused content and advertising efforts that are more interactive and immersive. This type of evolution of online marketing should improve the bottom line of businesses that stay on top of trends while also providing consumers with ads and information more tailored to their needs. 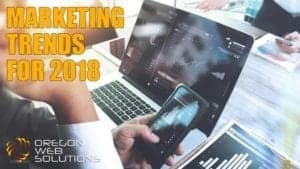 Growing Online Marketing Trends To Look For In 2018 and Beyond	Overall rating:	5	out of 5 based on 48	reviews.